Slightly broader web for better cover & support. Extra beveled toe to improve break-over. Super pitch plus® in the first 3 nail holes for stronger nailing. Wider heels for perfect balance & extra support. Subtle elevation of the heels to reduce stress on the tendons and ligaments. 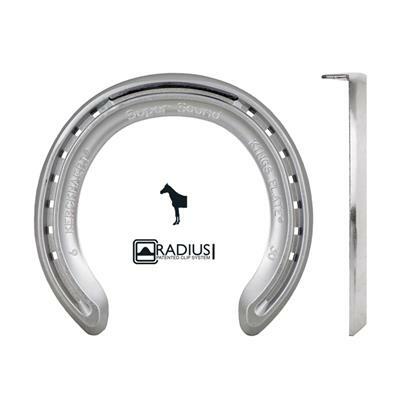 Evolved concave section for more traction and to provide more support at the quarters. The ultimate 21st century plate!